﻿ Wilmot's The Little Mermaid CD Rom and book. The Little Mermaid computer CD Rom and book ! A lovely Play Along Fairy Tale brought to life with a fully interactive CD-Rom, audio telling of the story made into a Disney picture and a lovely book to read with nice illustrations. This beautiful mermaid lives in a fantasy world under the sea, but all she can think of is how much she wants to see the surface. On the day she visits the surface, she saves the life of a handsome young prince and falls in love but can they ever be together ? Read and listen to the story, play the games and print off colouring in sheets and solve the puzzles on the Play Along Fairy Tale CD-Rom. The classic tale of The Little Mermaid with beautiful illustrations. Listen to Josie Lawrence read this favourite fairytale, and play the games, print off colouring sheets and solve puzzles on the computer CD-Rom. 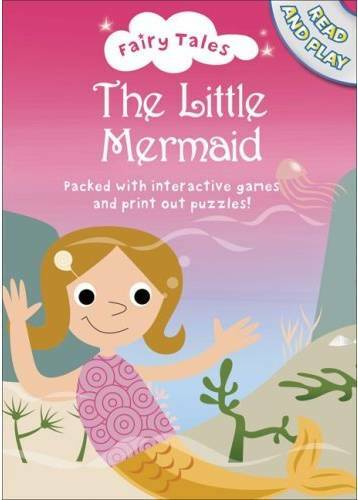 Visit our Online Store for this lovely CD-Rom and book to buy - The Little Mermaid ! "My young son really loves this CD-Rom." "Both me and my 4 year old love this ! " Only £4.99, click to BUY now ! !